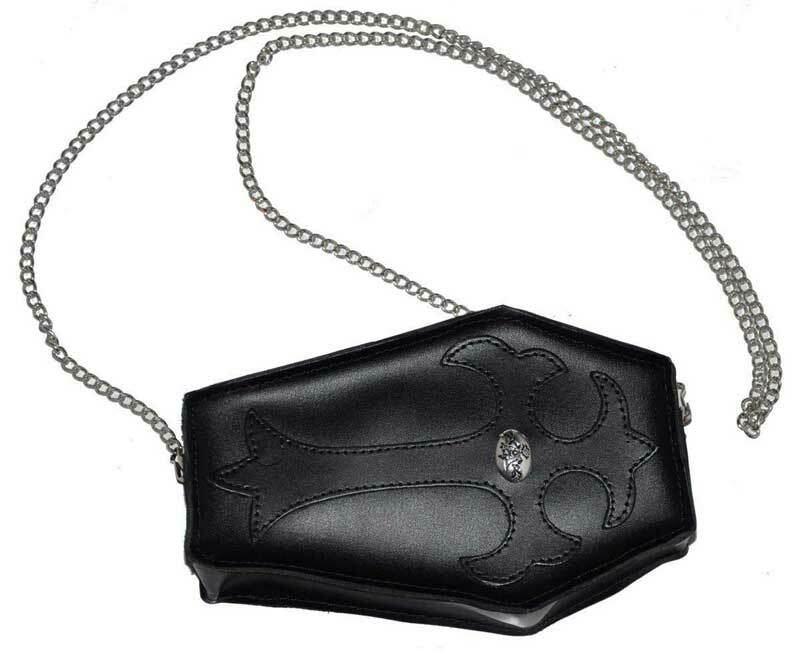 This soft, black genuine leather coffin purse, has a sewn leather Gothic cross on the front. 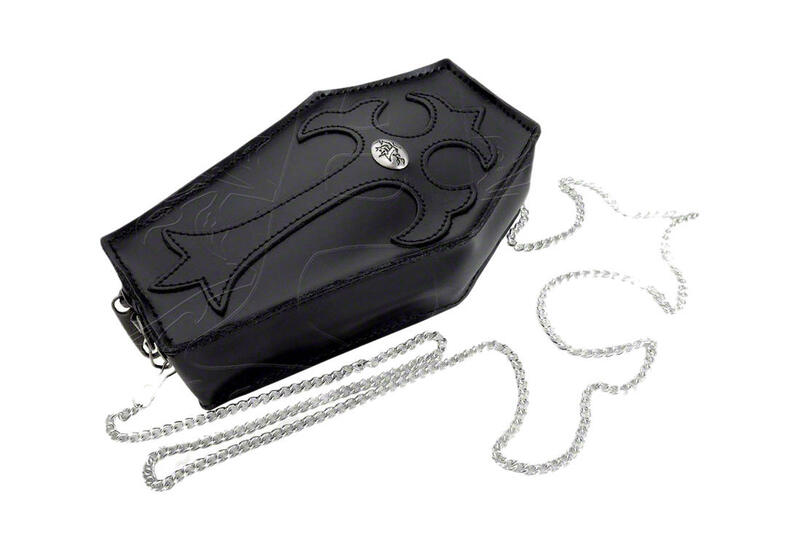 The side of the coffin has a zip opening, with side D rings for a detachable 15 inch curb chain. Measure approximately 6 inches high, 4 inches wide and 2 inches deep. 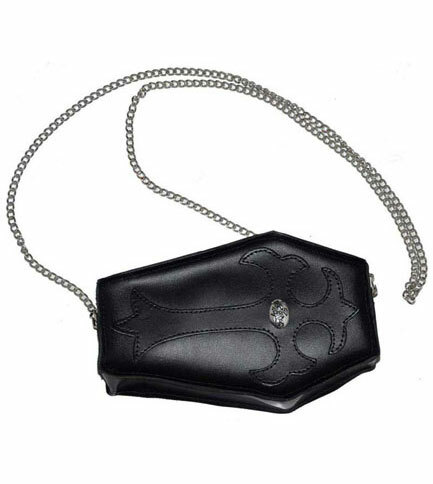 Made of Fine English leather and pewter casting. By Gothic Alchemy. It's made of great material, and it's lasted for about five months of everyday use. 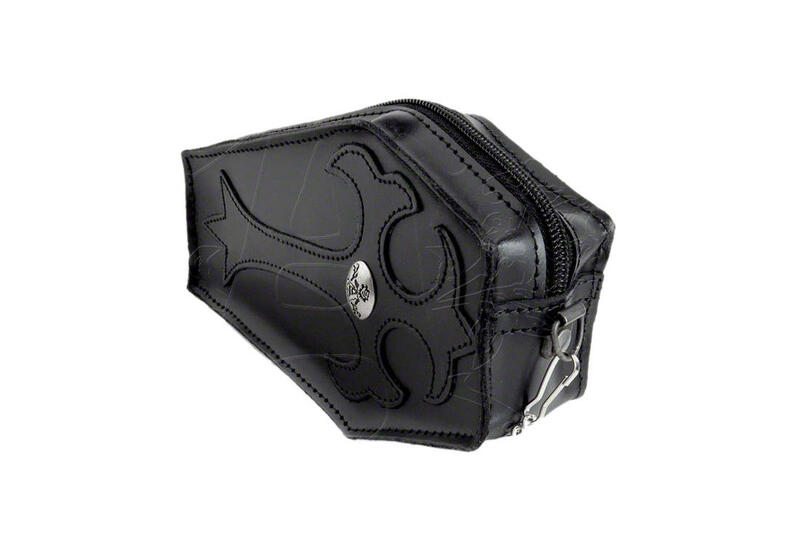 The only issue is the fact that it's a tiny purse. No longer then half my forearm. Overall it's great, but tiny.